The Eclipse developers just released the first Eclipse 3.6 milestone of the new year and they are on track for a final release in June. Eclipse 3.6 (codename: Helios) has reached milestone 5, which features new command line options, dynamic path variables, patch applying capabilities, and XULRunner 1.9.2 support. PDE, JDT, and Equinox have also gotten some significant enhancements. Users can now open a file from the command line in M5, or a file that's associated with the Eclipse executable. A set of predefined path variables are now available for defining linked resource locations. These include PROJECT_LOC, which points you to the project location, and WORKSPACE_LOC, which shows you to the workspace location. These path variables are dynamically resolved based on the context of a linked resource. The predefined variables can also help build user-defined variables. Import and export wizards now how have keyword searching capabilities. If you search "zip" in the import wizard, you'll see the wizards for importing archives. The Synchronize view can now browse and apply patches. The viewer lets you look at a model of the patch structure. The Apply Patch wizard now accepts URLs, whereas before users would have to select a patch using the clipboard or file browser. Eclipse 3.6 M5 adds a SWT.OpenDoc event type that notifies applications when a document should be opened. OpenDoc listeners can be added to a Display as well. OpenDoc support has also been added to the Equinox launcher and the Eclipse workbench. Users can now associate file types with Eclipse so that the IDE is launched when the file is opened. Program has a new API that allows users to specify the working directory when launching an executable. The Browser widget now fully supports the recent release of XULRunner 1.9.2. Overview and vertical rulers now show all annotations from the folded region. Expressions view now displays data in columns just like the variable view. The Print dialog remembers user selected options for all textual editors until the workbench is shut down. 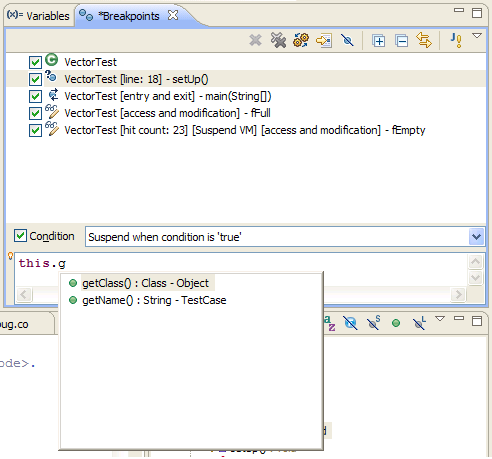 The Java compiler in Eclipse 3.6 now detects unused object allocations. There are some modifications to the breakpoints view as well. The new view layout includes detail panes to display and edit breakpoint properties. A Java line breakpoint, for example, can be edited in place with context assist. Finally, the Variables view features a new column that displays the number of instances corresponding to each variable's concrete type. The compilers preference page can now be used to individually configure severities for problems in build.properties. The plug-in manifest compiler property page can also be used. There is also an API for creating and modifying plug-in (bundle) projects. It provides a description of the project's bundle attributes and allows users to modify them declaratively. The Jetty and Servletbridge OSGi HTTP Service implementations in Equinox now have direct support for Servlet filters. Filters can be added programatically or declaratively. The Eclipse team plans to release two more milestones between now and May 2010, followed by four release candidates. 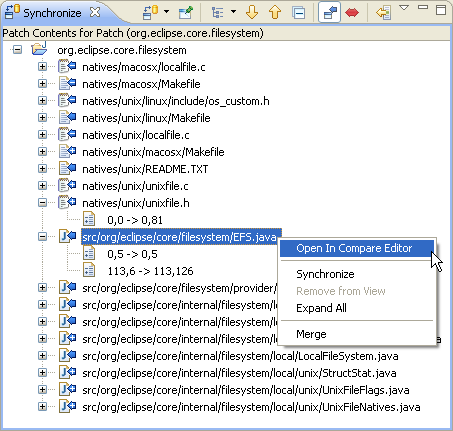 Eclipse 3.6 final is slated for June 23, 2010. The next major version of Eclipse is being build on top of version 3.6. Eclipse 4 will incorporate familiar web technologies and use them in new ways, according to the developers. Eclipse 4, version 1.0 Milestone 3, was released on January 14th.